Enjoy large-scale storefront lighting that has oodles of visual appeal with the 18" Barn Shade Gooseneck Light. This charming fixture features all-aluminum construction from the sweeping 18" Barn Light Shade, to the sturdy back plate. Standard lamping is 200W maximum incandescent for installation to a 4"D octagonal or round J-box, and gooseneck lights can also be upgraded to metal halide and compact fluorescent configurations online. Please call for high pressure sodium or LED storefront lights. 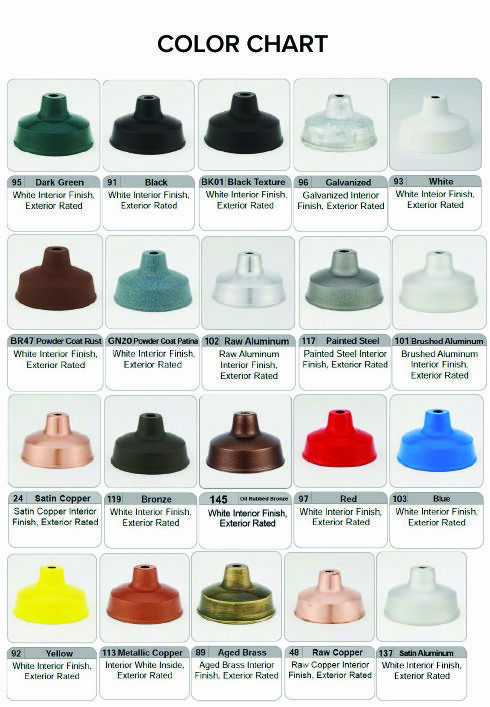 Exterior Barn Lights are a made to order product and come in more than 20 brilliant color options. Black, white, galvanized steel and dark green powder coated finishes are available at no additional cost. Finishing is rust resistant for superior product longevity. And to capture the industrial charm of classic Barn Lights, add on accessories like wire guards and decorative globes in options like frosted, prismatic and colored glass.